I know. It's not even Christmas yet. But I've been sitting on this for a while and I'm excited! So many of you choose a Word Of The Year rather than traditional resolutions... a word to inspire you, remind you, challenge you. I love doing this too. One of the best things is when a word or phrase appears to you again and again, and you KNOW it's meant to be used. In October, I kept feeling like I should go deeper. I didn't even know what it meant... but I felt like God just kept whispering "deeper" to me. And over the past few months, it's become more and more obvious. In 2014 I want to go deeper. Have deeper more meaningful relationships. Dig deeper into the Bible. Don't surf social media on my phone at night but go deep into a book instead. I have found myself in 2013 just living on the surface. And the surface isn't where I want to be. I don't want to just stay on the shallow end. I want to go deeper. Our One Simple Word necklace this year... oh I just love it! I love that it's chunky and rustic. I love that it's reversible if you want to keep your word private. 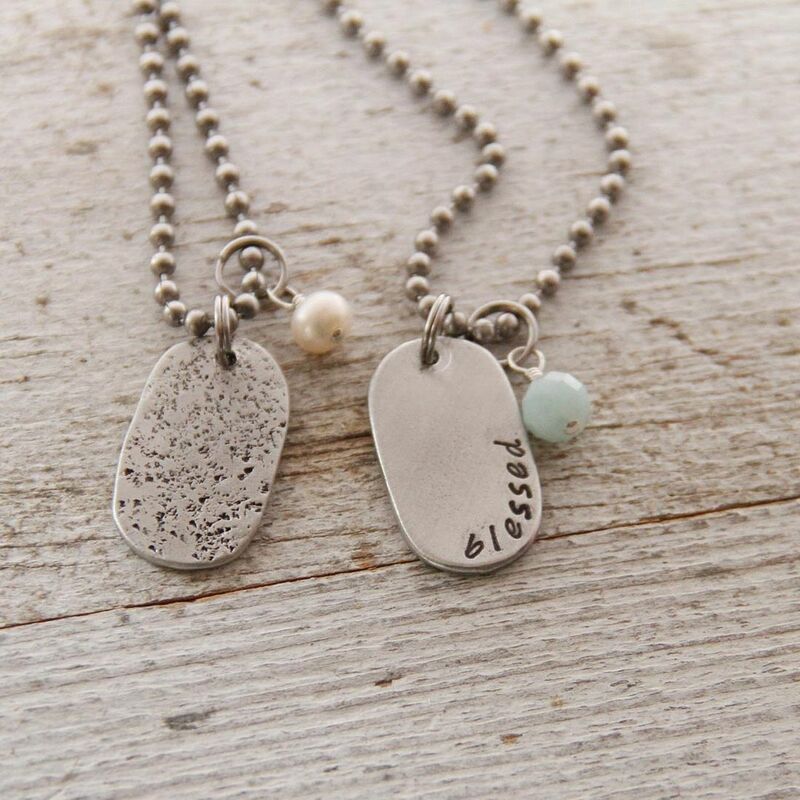 I love that it can be paired with an aqua stone or a pearl. 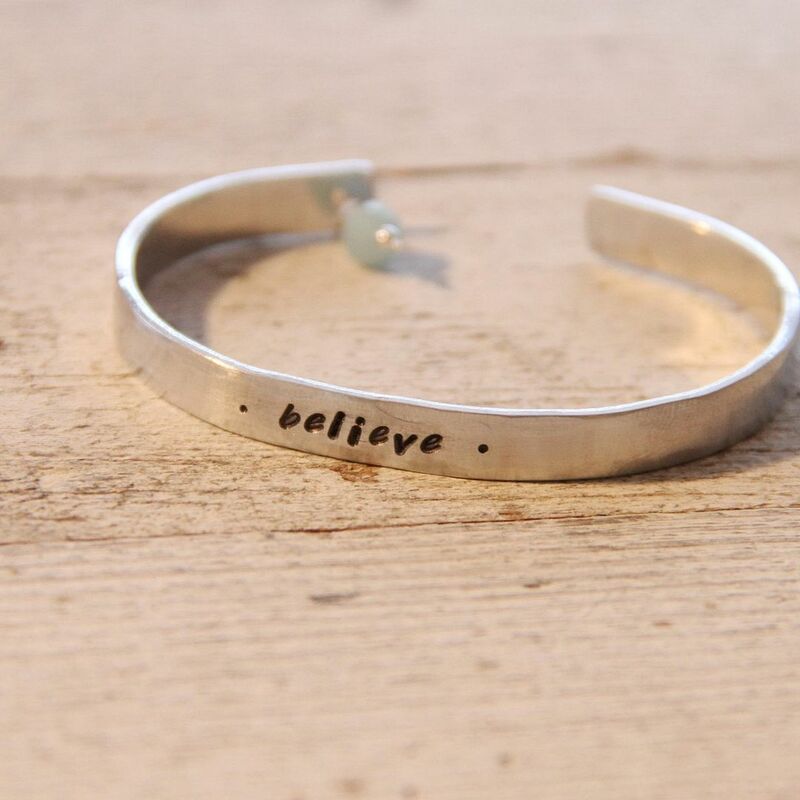 And we're offering a One Simple Word bracelet as well! 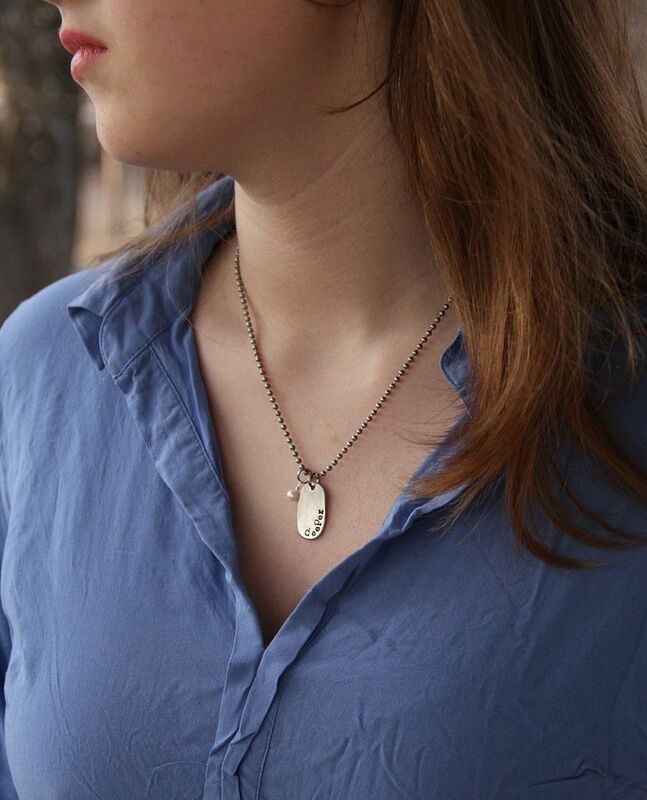 It is also paired with an aqua stone or pearl. I love it. I know, we're a wee bit early. But what is your word of the year for 2014? I'm leaning towards "focus" at this point. I feel like I need the reminder to give myself more completely to whatever I'm doing, whether praying, snuggling, homeschooling, etc. I need to focus and ignore distractions. I've already chosen mine too. It's Grace. I want to be able to offer grace to others more freely and to truly feel it in my heart. Mine is complete. I an complete in Him which is the head of all principality and power. Amen.